Colorado has ranked consistently among states with the highest rates of suicide in the nation. A report issued this month by the Colorado Department of Public Health and the Environment examines this serious public health problem with a special emphasis on adolescent suicide. In a separate report released today in the prestigious medical journal, The Lancet, researchers have found that so-called “talk therapy” is a powerful way to prevent people at high risk of suicide from harming themselves. 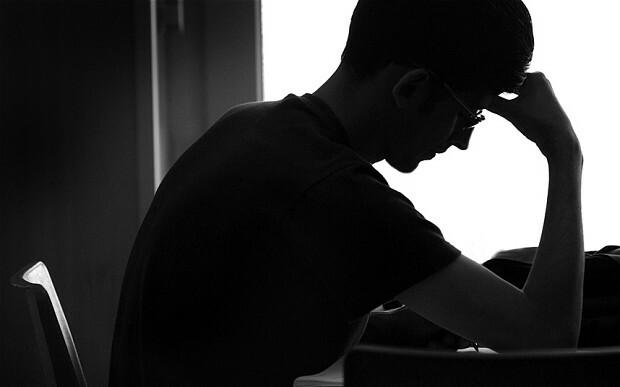 In Colorado there were 269 adolescent suicide deaths between 2008 and 2012. The Colorado age-specific suicide rate for adolescents (ages 10 to 19) is 7.9 per 100,000 which is considerably higher than the national average at 4.6 per 100,000. During this period, suicide was the second leading cause of death in adolescents behind unintentional injuries in Colorado. The report finds that adults and adolescents differ markedly in the methodology of suicide: hanging in adolescents (52 percent) is more than twice as prevalent as hanging in the adult population (22.5 percent). Adults are more likely to use firearms (49.7 percent) than adolescents (34.6 percent) and poisoning (adults, 21.7 percent; adolescents, 8.2 percent). Toxicology reports reveal what substances were present in the body at the time of death. Marijuana was the most prevalent substance (16.1 percent of total cases for which toxicology results were available and reported), followed by alcohol (12.7 percent). Four other substance categories were present in 5 percent or fewer of adolescent suicide cases in Colorado. Update: Dr. Paula Riggs, a professor of addiction psychiatry at the University of Colorado, provided some great insight: “Agree with calling media attention to these statistics. 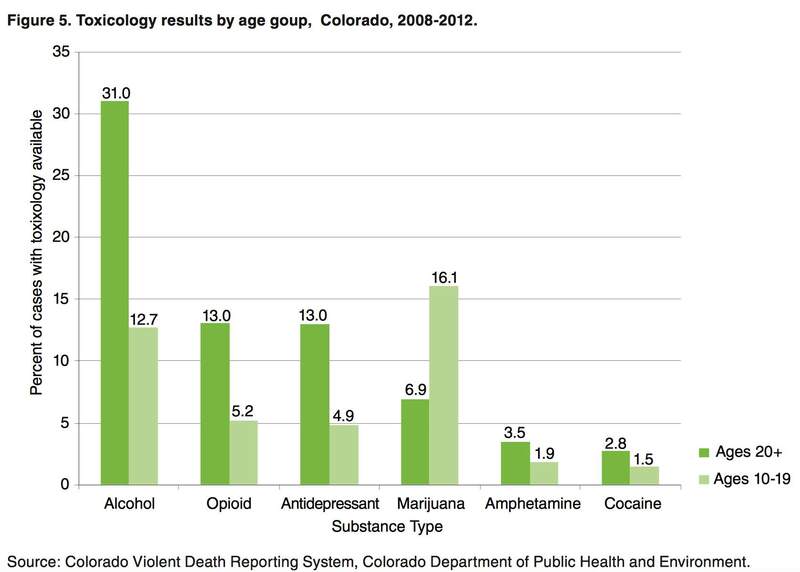 Unfortunately, these data can’t causally link marijuana to suicides. It would be ideal if we could get our hands on data regarding the frequency of multiple substances present. The study published today in Lancet offers substantial insight that could inform suicide prevention efforts. Researchers who followed tens of thousands of Danes in an 18-year period report that suicides dropped 26 percent over a five-year period among people who had attempted suicide and received talking therapy sessions, compared to those who did not receive such therapy. In the first year, people who received talk therapy were 27 percent less likely to attempt suicide again and 38 percent less likely to die of any cause. Researchers say the positive effects of the talk therapy they received were still seen more than a decade later. – In 2011, Dr. Christian Thurstone (whose website you’re reading) and two other Colorado physicians — Dr. Abraham Nussbaum and Dr. Ingrid Binswanger — explained in The American Journal of Psychiatry the case of a 29-year-old woman who presented with a history of marijuana addiction, a history of depression and a history of suicidality. In their report, they noted that marijuana use is strongly linked to depression. Absolutely fabulous summary, Christine! Thanks for all your hard work and excellent reporting.